Many legends purport to explain how Sweet William acquired its English common name, but none is verified. 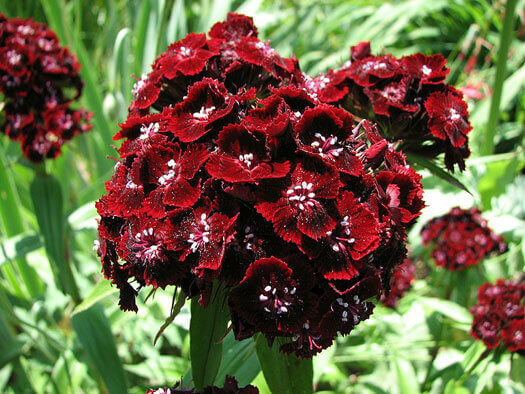 Sweet William is often said to honor the 18th century Prince William, Duke of Cumberland. The English botanist John Gerard referred to Dianthus barbatus as Sweete Williams in his garden catalogue of 1596.. It is also said to be named after Saint William of York, William Shakespeare or after William the Conqueror. Height to 60cm. Width to 30cm. Full sun. Frost tolerant an drought resistant. Flowers from early spring to late summer. Good for rockeries and perennial borders.